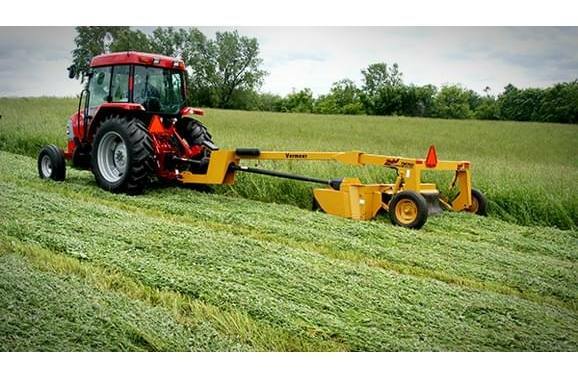 With a simple drop of the pin, you can hook up the TM700 Rebel Trailed Mower to any 55+ hp tractor and start cutting 9'2"/2.8 m rows out of your fields. 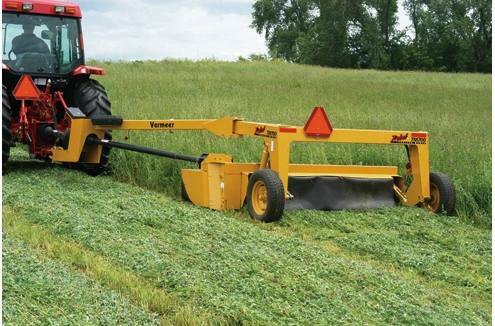 This side-pull rotary disc mower is designed to be easy to use and easy to maintain, too. 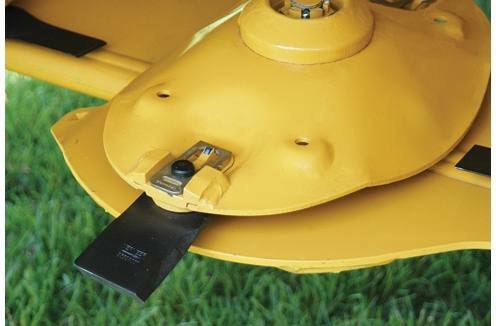 Each of the seven discs is self-contained with its own set of gears, bearings and lubricants - and the gears stay in the grease, even when mowing at extreme angles. Hitch up easily. It's as easy as the drop of a pin - no longer requires a 3-point hook-up. 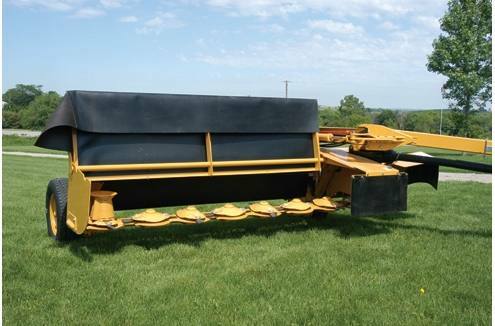 Goes easy on horse power, only requiring a 55 hp/41 kW tractor for a 9'2"/2.8 m cut.